"Gambling Address Labels" product is already in your cart. Create the excitement of a casino with these festive Gambling Address Labels that are not only colorful but entertaining as well. The four casino motif scenes include: a slot machine, a roulette wheel, a blackjack table and other games of chance - making you want to head to the nearest casino near home or in Las Vegas or Atlantic City. 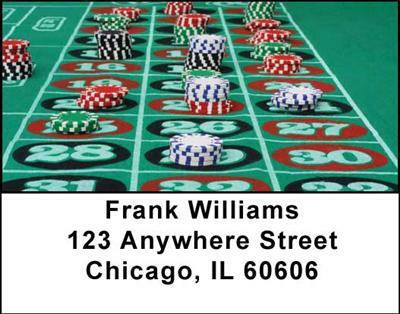 Gamblers everywhere will be inspired to take a chance on Lady Luck when they see these interesting Gambling Address Labels and you can bet that anyone who receives a label like this will look it over carefully to see if he is a winner!